5 Zero-Plastic Kitchen Products to Switch to for a Healthier Home | Yellow Co. The zero-plastic movement is taking off by storm and I’m here for it! Not only is it better for the environment and your wallet to reduce plastic, but your body will thank you down the line. We are all exposed to a variety of toxic chemicals every single day through the air we breath, the water we drink, the food we eat, the personal products we use, the cleaning products we use, and the list goes on. While we cannot help some of these scenarios, I am a big proponent of choosing safer alternatives whenever possible. Studies have shown that the rise of many health issues is partly due to our exposure to these toxic chemicals. It is no surprise that chemicals are hidden in plastics. Remember when finding a BPA-free water bottle was a new thing? Well the truth is it doesn’t stop there. There is a reason it is still not good to microwave food in plastics… when succumbed to heat, chemicals from the plastic can leach into your food. While there have been huge strides in removing BPA (a known endocrine disruptor) from plastic, the jury is still out on whether or not the alternatives are any better for your health. Switch from plastic food storage to glass food storage. This is a big one because food can sit in plastic for days on end, creating an environment for chemicals to leach into your food and eventually your body. Not only will your food stay fresh longer, but you can freeze in it, microwave in it and not worry about any chemical invasions during the intense heat of the dishwasher. Run to your nearest discount store to find a set on sale or do a quick Amazon search and you’ll be ready to go. Pro tip: save glass jars from food you are eating (like pasta sauce, pickles, coconut oil, etc. ), wash them, and reuse them for food storage. This is a fun one to switch because my number one recommendation is a company I love to support: Stasher Bags. They are made of 100% silicone and can be put in the dishwasher, used in the freezer, used to boil food, or just carry around your snacks. They come in all sizes from gallon to snack size. While there is an initial investment, think about how many boxes of plastic bags you purchase in just one year. This will be better for you and your wallet in the long run. While this is so tempting to use because of ease, I challenge you to not repurchase that box when it runs out. Here are safer alternatives you can reuse over and over instead: Bee’s Wrap, silicone food covers (great for cut produce or to stretch over any shape of storage), parchment paper (also a great replacement for aluminum foil… I swear it cooks food better) or go for a storage method listed in the first two tips. Think water, coffee, tea, matcha, smoothies etc. Not only is this more convenient for on-the-go liquids, but you will be surprised at how often you grab for plastic or single-use cups that are full of chemicals and harm our planet. My favorite go-to for water is a S’well Bottle, and for an on the go hot beverage mug: Byta. Remember those glass jars I mentioned reusing above? I use these for smoothies daily. Switch to stainless steel straws. This is especially fun if you have straw-loving little ones in the house. Not only does it reduce waste, but it looks way better than sporting a neon plastic straw. Amazon is a great place to find the set that’s right for you. Like I always say, it is not about being perfect overnight, but if you can be in charge of what you are bringing into your home, you are starting off in a great place. So the next time you run out of plastic bags or can’t find that matching lid to your plastic container, make the switch away from plastic and be proud! You are making a huge step for your health and the environment. 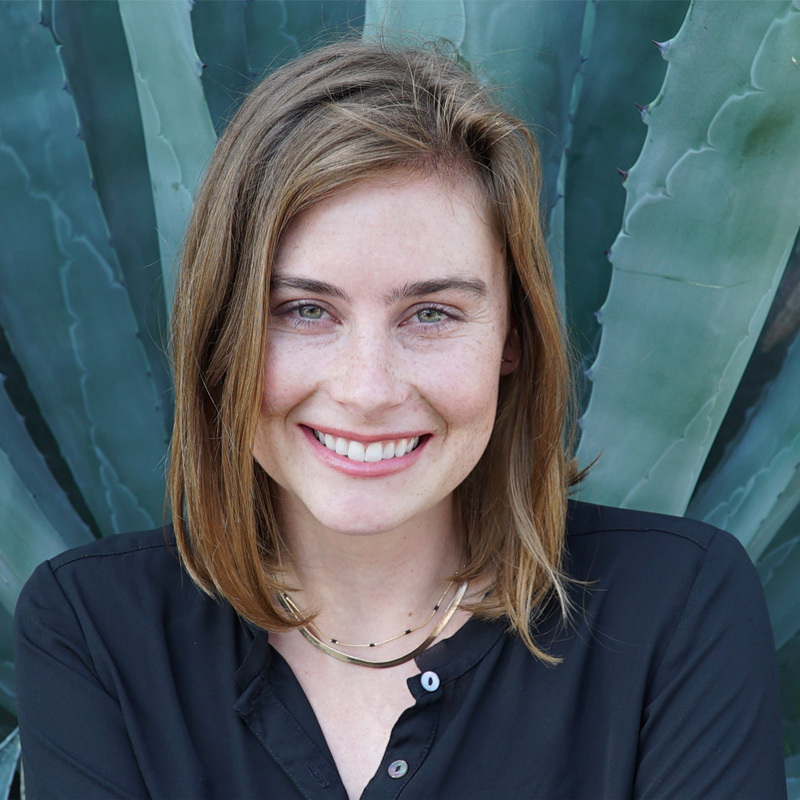 Lauren Breiding is a Clean Living Consultant in Los Angeles that helps people switch their products to safer options. She does this through one on one consultations, business to business services, hosting wellness events, and spreading the better beauty mission with Beautycounter. She loves connecting conscious consumers with brands that are creating clean products, doing good things, and are innovative. She finds joy in meeting new people and collaborating with others all the time!